Sunrise Real Estate Agents are here to assist you every step of the way! You did not fill out all of the following required fields on the form. Kindly use the form on this page to fill in ALL fields. If you’d prefer to speak with one of our friendly agents instead of completing the email form call NOW. Call (954) 999-5207 for immediate attention. 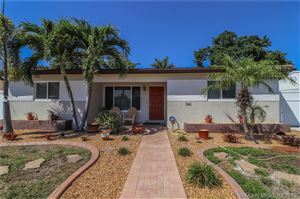 We are Local Real Estate Agents in Sunrise, Florida with Sunrise homes for sale, rent to own, houses for sale in Broward County and all of South Florida. We are always make time to assist you in finding the right home, selling your current house or commercial property let us be your listing real estate listing agent – we are you ‘go to’ team. We are local Sunrise Real Estate experts and are available to answer questions about properties, neighborhoods, schools, and the newest listings for sale in Broward County. Our Sunrise real estate experience enables us to spot trends giving you up to date information about home buying and selling trends. 5 County Real Estate is South Florida's premiere residential and commercial real estate agency. We provide award-winning, high-quality service with a straightforward and honest mentality that is sure to make you a customer for life. Whether you're purchasing your first home, or getting ready to invest in your next multi-million dollar project, 5 County Real Estate can help you meet your real estate goals both now and in the long term. Learn more about us, who we are, and how we can help you. Find the answers to many of the common questions were are asked. Review a detailed list and descriptions of the many services we offer. See examples of the work we have done for our customers. Copyright © 2018 · 5 County Real Estate · All Rights Reserved.